● Booking.com does not charge booking fees and has a best price guarantee, where the website will match lower rates found elsewhere for the same deal. ● The website offers free cancellation for most rooms, whereby you book now and pay when you stay. ● Download Booking.com’s free mobile applications to book trips and rooms on the go. 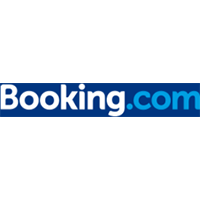 Booking.com is a travel related website that offers discount options for hotels, air travel, car rentals and other venues that are related to travel and tourism. This site offers a search engine that can be used to find the “best travel deals”. By plugging in the dates of travel and the destination, travelers are given several different options to choose from. This site makes comparing several travel options at once easier than having to go to each individual airlines, hotel, car rental agency and other travel related sites. Booking.com offers free cancelations which is unusual for travel booking sites which typically charge a fee for such services. For most up to date offers check out Booking.com on Facebook and Twitter or contact Booking.com Support for any questions.